Luís Filipe de Miranda Grochocki is an analyst in science and technology at the Brazilian Federal Agency for the Support and Evaluation of Graduate Education (CAPES). 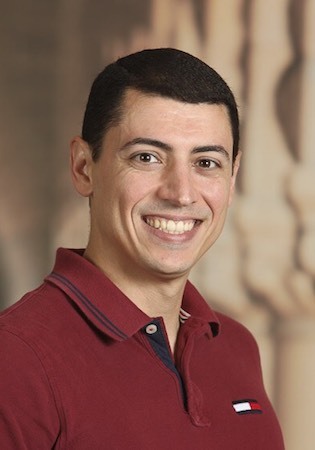 Luís Filipe served as the general coordinator for international scholarships and projects (2013–16) and also as the coordinator for the federal grant program Science without Borders. He was previously the general coordinator for international programs (2012–13) and coordinator for South-North Cooperation Programs (2011–12). He has worked in the Department of International Relations since 2009. He holds a Master’s degree in Education in Sciences (2016) from the Federal University of Rio Grande do Sul – UFRGS and Bachelor’s degrees in international relations (2004) and law (2010), both from Centro Universitário de Brasília – UNICEUB. He is currently pursuing a PhD in Education Policy at Stanford University, under the supervision of professors Martin Carnoy and Daniel McFarland. His research interests are education policy, higher education, and international mobility.